Gernsbacks Educational Library No. 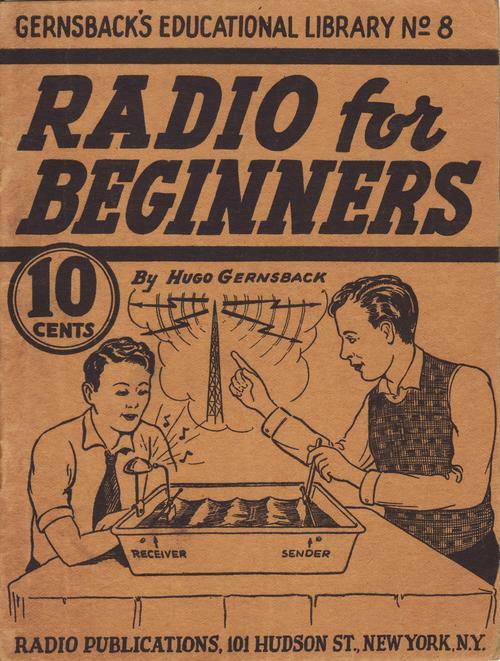 8 - RADIO for BEGINNERS by Hugo Gernsback (1938, 36 pages). This is one of Gernsbacks great little booklets about radio, all with amazing illustrations. This one deals with getting started in radio. It caters to the increasing interest in home radio sets. If you are new to vintage radio servicing then this great little booklet is for you!!! The original book was scanned at a resolution of 600 dpi and converted into this digital book in Adobe Acrobat .pdf format. In order to view this file you will need to have Adobe Acrobat Reader installed on your computer.